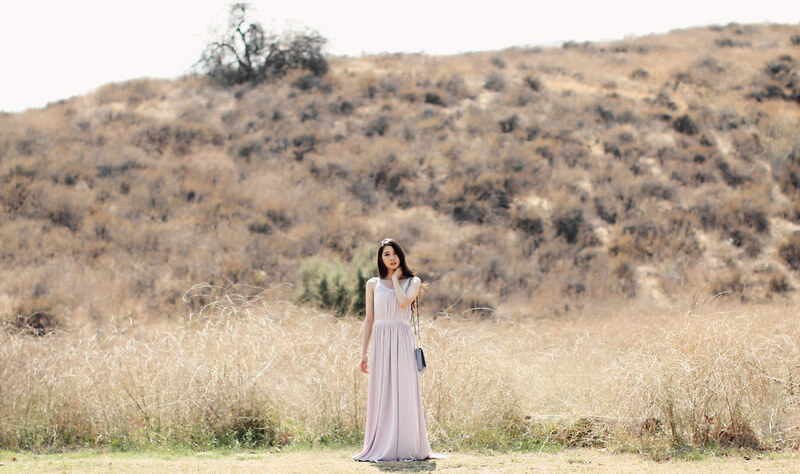 September 18, 2017 September 17, 2017 / Elizabeth T.
Though not a color that’s typically associated with autumn, this lilac maxi dress just seems perfect for the slightly warm yet breezy fall weather, yellowing leaves, and dried grass, don’t you think? Floor-sweeping lengths are just so majestic and breathtaking, yet with a relaxed silhouette, this dress is beautiful while still being understated. 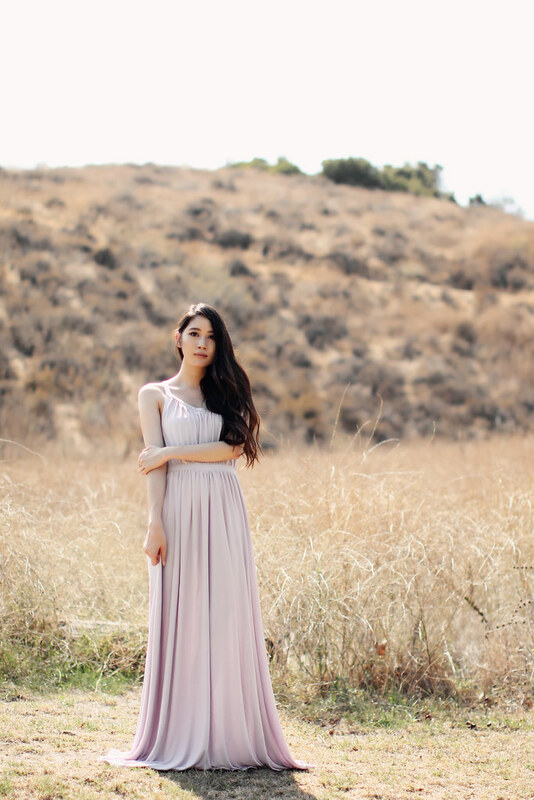 That’s the thing about maxi dresses – they’re extremely romantic without being overly dramatic, and the length actually adds a note of sensual femininity that a shorter dress can never imitate. 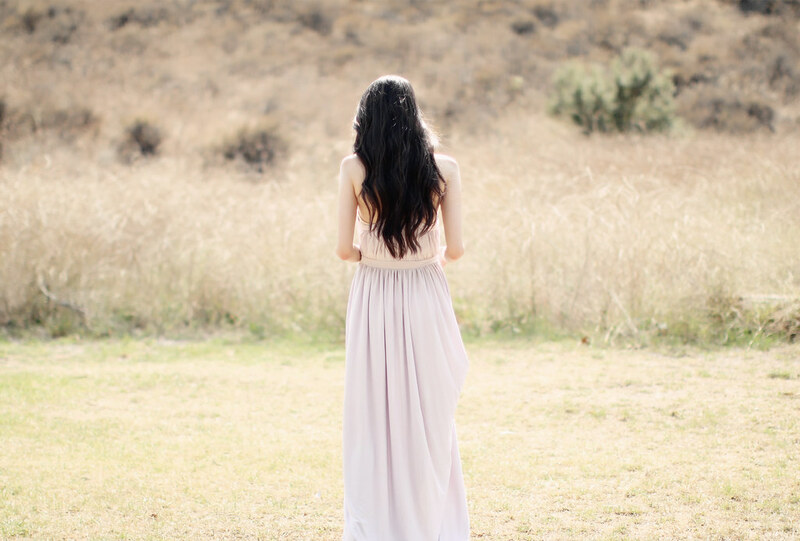 And though there are so many places that this dress is fit for, I can’t envision a more perfect location than in this natural setting because there’s just something about the muted colors of dried grass and the warm glow from the setting sun that makes the dress feel extra stunning and free-spirited, don’t you think? What are some of your favorite colors for fall? Are you a fan of lilacs? Let me know in the comments because I always love hearing from you all! Oh that color actually looks pretty fitted for fall even though it usually isn’t intended. Such a dreamy photo selection. love this dress girl! the perfect color! 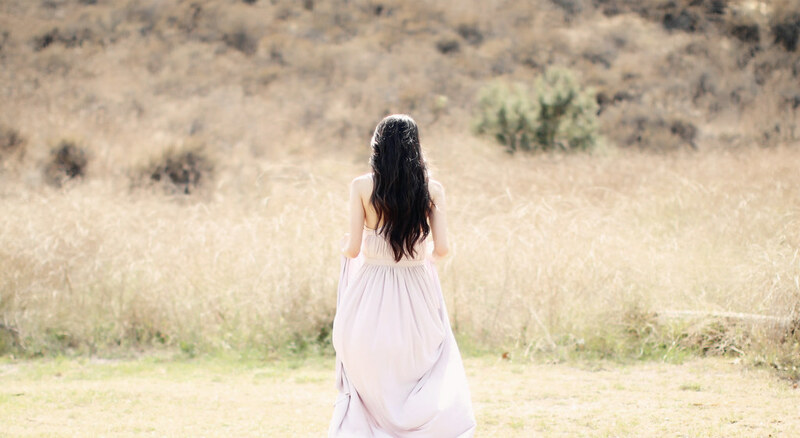 such a romantic photoshoot and this dress is gorgeous! Thank you so much love ❤ You're too sweet! 🙂 One of my favorite shoots this year! You look so stunning ! Love this color ! I’ve always thought lilac was your color! You look beautiful, I love this set of photos! Aww thank you love ❤ 🙂 Haha and yes, it's one of my favorite colors! Absolutely adore the color of this dress! You look so stunning in that dress babe! You look absolutely stunning. Love this dress. Such a gorgeous colour on you, and you look absolutely stunning! 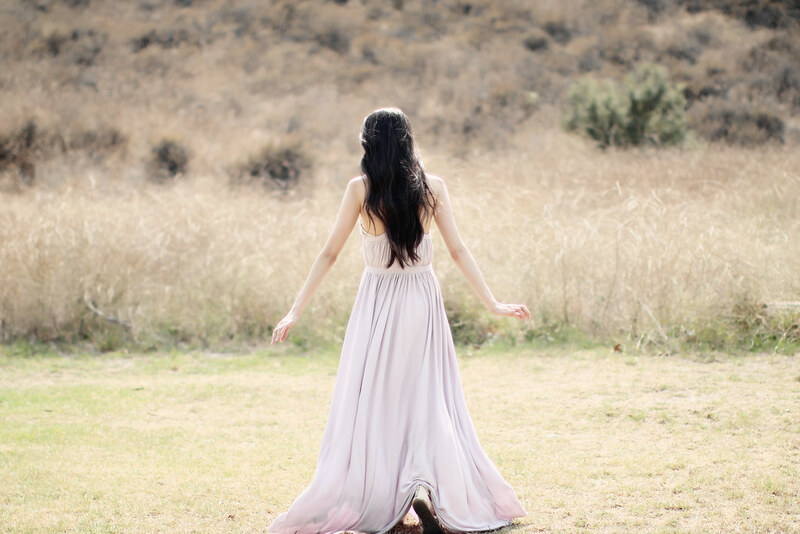 Lovely photos and beautiful dress! You look so beautiful in this dress! I love the color and background! You look lovely! Loe that dress, so fabulous! I love this dress! You look absolutely stunning! This is a lovely dress and a beautiful color! That dress is so gorgeous, it flows so beautifully and the colour is very delicate, I’m in love!! Thank you so much love ❤ You're too sweet! 🙂 One of my favorite colors! You look so pretty in this photos. The dress is simple yet classy. I love your post, I think lilac is lovely for autumn! Such a gorgeous dress. Love your post, I think lilac is a perfect color for autumn. Such a gorgeous dress!